Even under the best of circumstances, eating a sufficient and healthy diet is difficult during pregnancy. All women are told to take a prenatal supplement to help fill in the nutrient gaps they might have. Your OBGYN will recommend you start taking a prenatal immediately. However, there is such a wide range of vitamins and supplements on the market. How do you pick the right one? Are your supplements giving everything you and your baby need? The following is a list that all pregnant women (or those hoping to conceive) should keep in mind when looking for the right prenatal. Prenatal supplements come in many varieties. Some are one-a-day and some are chewable, powder, or even liquid. However, the great variety of prenatal supplements manifests in the supplement facts. The traditional approach to prenatal vitamins is often market driven rather than science driven. This approach often produces supplements that lack essential nutrients because one pill is often more marketable than multiple pills. Many supplement companies are under the impression that something is better than nothing. However, as stated above, this approach results in the exclusion of nutrients or incorrect dosages. Just because your prenatal supplement contains a needed ingredient doesn’t mean it contains the needed amount. A poignant example is the use of calcium. According to recent research, women who are pregnant should receive 1,000mg a day of calcium to have the most effective results in reducing preeclampsia. However, though this is the recommended amount, many prenatal supplements only contain 250-500mg of calcium. If 1,000mg is the standard, 250-500mg should be nearly as good, right? Wrong. Doses less than 1,000mg show little to no effect on preeclampsia rates. The nutrients that help prevent pregnancy complications and support your developing baby are most effective when taken in the right dosages. When examining the supplement facts, make sure to check the doses. Considering all the nutrients needed to support a healthy pregnancy, one pill may not be enough to support you and your baby. While most prenatal supplements contain some nutrients needed during pregnancy, many contain unnecessary filler ingredients. And even the “non-filler” ingredients are often of poor quality or synthetic. The cheaper forms of vitamins and minerals take longer to absorb into the body, rendering them less useful. If you are concerned about the quality of ingredients in your prenatal, research the supplement brand and consult with your physician. What is the purpose of your supplement? Is a healthy pregnancy for you and your baby the end-all goal? If the ingredients in your supplement do not match your needs, your health may not be at the center of the brand. Make sure that your pregnancy and baby are not an afterthought. Your prenatal needs to be specifically tailored to your increased nutritional demands. Consulting with a physician and researching what your body needs will help you find a quality supplement. Folic acid: helps prevent neural tube defects. Iron: important for the delivery of oxygen to the baby and prevents anemia in the mom. Calcium: helps build the baby’s bones and prevents bone loss in the mother4. Simply including the nutrient is not enough; prenatal supplements MUST contain the needed doses. If you have just learned that you’re pregnant, start taking a prenatal immediately. If you are planning to conceive, begin taking supplements ideally 2-3 months before conception. Why so early? There are many reasons. The more prepared your body is for pregnancy the better. If key nutrients are in your system from the beginning, you provide a safe start for your developing baby. Take folic acid, for example. Very early on in the pregnancy, when your baby is just 0-12 weeks old, folic acid helps build the core components of the body. Without enough folic acid, babies can develop serious brain and spinal cord abnormalities known as neural tube defects. Beginning prenatal supplements early is a proactive step you can take for the health of your baby. You still need to do your best to eat a healthy diet. You will be most benefited if prenatal supplements are part of an overall healthy prenatal diet. Supplements add extra essential nutrients like folic acid, iron, and calcium. These nutrients will support your body against complication, especially if combined with healthy eating. A healthy diet will not only make you feel better but will work together with your prenatal supplements to support a healthy pregnancy for you and your baby. If you are on a restrictive diet, you may already have nutrient deficiencies. Vegetarians and vegans should make prenatal supplements a significant priority. Vegetarians are much more likely to be iron and vitamin B12 deficient, for example. Those with a restricted diet due to a food intolerance may be at risk for other vitamin deficiencies. Speak to your healthcare provider to make sure your prenatal meets your personal needs. 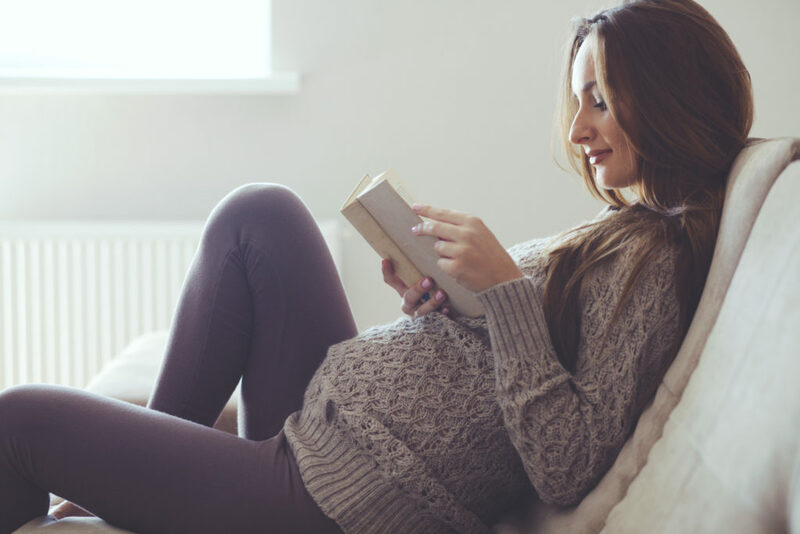 Overall, make sure your prenatal supplement matches the science! Do not assume your supplement is safe or healthy just because it claims to be. Don’t take choosing a prenatal lightly, and always consult with your physician before selecting your prenatal. 1) American pregnancy association. Nutrients and vitamins for pregnancy.